A 34-year-old man stabbed to death in Somerset has been described as "much loved by family and friends". 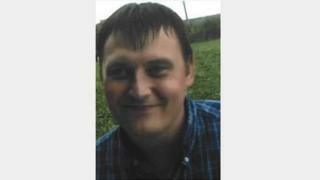 Jonathan Roper was found with knife wounds in Wells on Saturday afternoon and died at the scene. A second man was also stabbed and was taken to hospital with non life-threatening injuries. Seven men and three women, all from Somerset, were arrested after armed police were sent to the scene. Avon and Somerset Police are treating the death as murder and the 10 people arrested remain in custody. A tribute released by Mr Roper's family said: "Jonathan was a devoted family man much loved by his family and friends. He will be greatly missed." Det Ch Insp James Riccio said: "We're continuing to investigate the circumstances surrounding Jonathan's death and our thoughts are very much with his family at this distressing time. "We fully appreciate this incident has shocked local residents and are aware it will deeply affect those who knew Jonathan." He said said officers would be carrying out additional patrols to offer reassurance to the public.